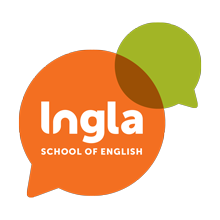 At Ingla we realise that new students may require assistance or guidance regarding various aspects of living in the UK. 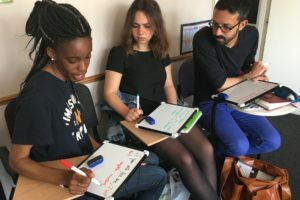 Our Welfare Officer will be able to provide the necessary information about basic UK laws, opening a bank account, accommodation, applying for a National Insurance number, registering with a doctor and dentist, practicing a religion, going to leisure or entertainment venues and travelling around London. Feel free to make an appointment for help or advice on these matters. We all feel that life can be overwhelming at times and sometimes you might want to discuss more personal or sensitive issues with a trusted person and in full confidentiality. We are here to help – just speak to the member of staff that you feel most comfortable with or make an appointment with our Welfare Officer. We would like to ensure that our students receive the best possible service and your feedback is very important to us. During your study you will be asked to fill in a feedback questionnaire at the beginning and at the end of the course. Please tell us immediately if you have any questions or comments and we will try to resolve any issues you might have as soon as possible. If you have any complaints about the school or the services we provide, please talk to a member of the management staff as soon as possible so that we can address the problem quickly and effectively.